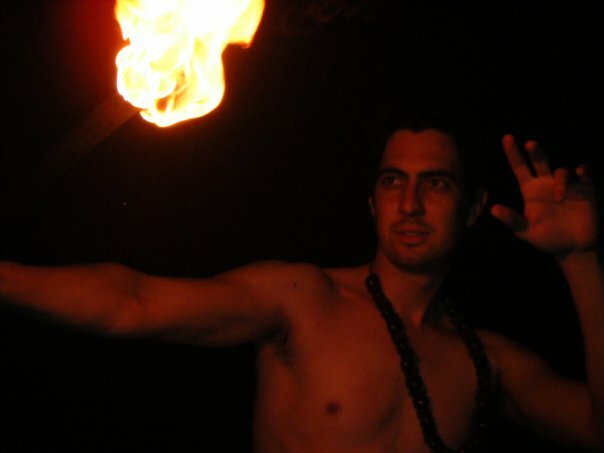 My husband is an aspiring Samoan fire knife dancer. He learned the art of dancing with a spinning, flaming blade from an old Hawaaiian priest when they were together in a monastery in California. Over the past couple years his knives became a bit shaky, which is terrifying when you are relying on them to whirl smoothly around your body in a hiss and rush of flame. 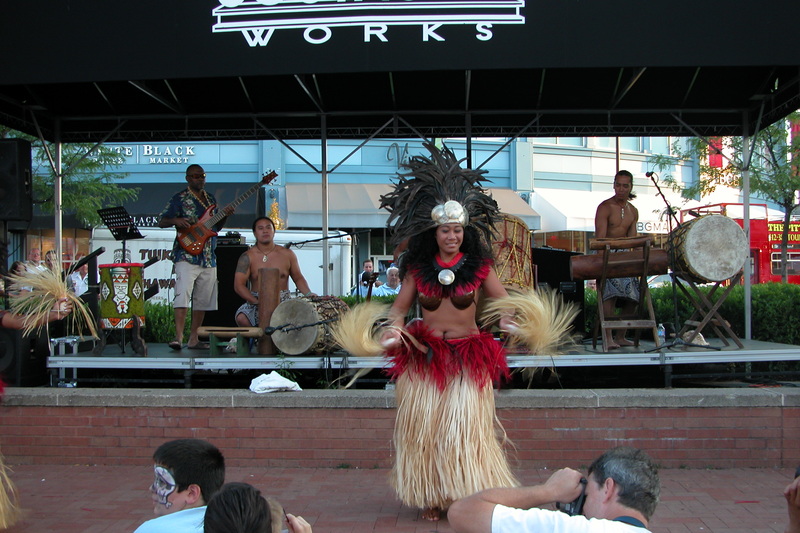 After searching for a year or so, he found a Polynesian performing family here in Pittsburgh. 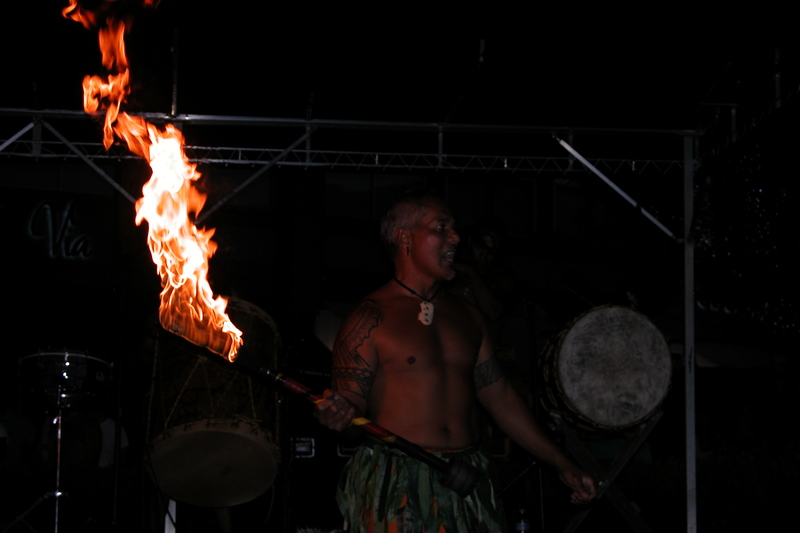 The whole family performs together in a three generation spectacular show featuring dance forms from all over the Polynesian Islands from hula to fire knives. Casey contacted Tuika, the patriarch of the family, and commissioned him to make him a new fire knife. Tuika designed and created an incredible knife, and also invited us to a full Polynesian style barbeque at his ranch house somewhat incongrously and very adventurously located in the hills of Pittsburgh, Pennsylvania. The barbeque was lively, full of wild haired beauiful people of all ages,a nd with elaborate platters of ham and pineapple and taro root set up in the studio where Tuika creates fireknives and presumably rehearses the songs and dances that make up his travelling show. I have been wanting to try taro root since I read James Michenor’s Hawaii, so for that reason alone I was thrilled to attend the barbeque. It is a great gift to be able to spend time with people from distinctly different cultures, and I am so grateful that we are able to make connections and friends from all over the world. Growing up in rural Wisconsin, we were lucky to have a great connection with the Hmong community from Laos. My Dad sponsored one family, and sold chickens to the community at large. Traditionally, the food provider is invited to the feast, so I have vivid memories of attending parties with platters of food in vivid colors- plates of raw meat and intensely spicy fish sauce, totally foreign to my farm raised Wisconsin tongue. I particularly remember Dad standing a head and a half above the shoulders of the rest of the crowd. I am grateful to be married to a man who also possesses a wide variety of passionate interests and the ability to reach out and connect with interesting people and events. 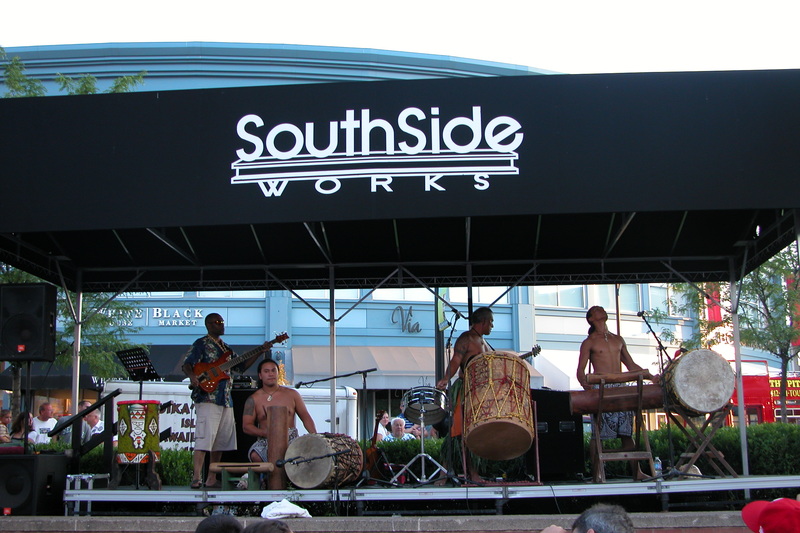 This past weekend we attended the South Side Works Festival, where Tuika and his family were setting up to perform their show. 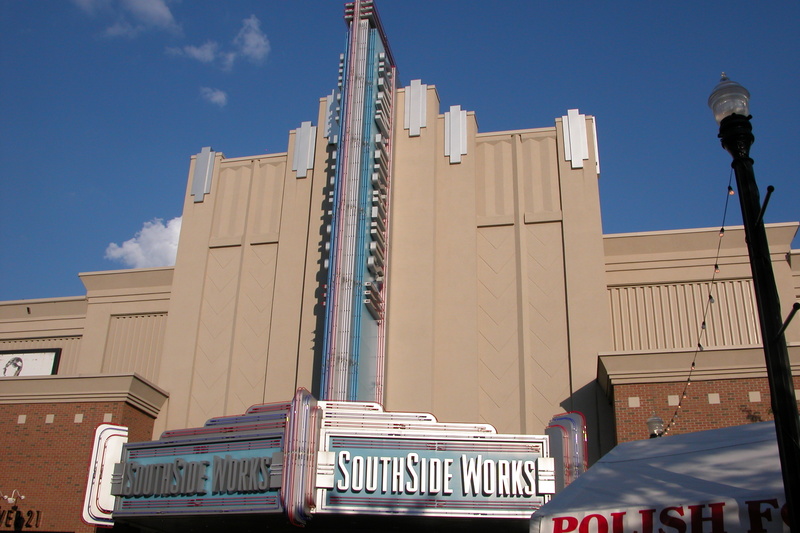 The South Side Works used to be a steel mill- in fact, at one point it was part of the second largest steep producer in the US. In the mid 1980’s the mill was driven out of business by cheap foreign imports, high labor costs, and outdated equipment. These days, after a great deal of public private wheeling and dealing and some serious environmental cleanup, the former mill is the site of a massive multi-million dollar office/retail/condo/entertainment complex in the New Urban style. 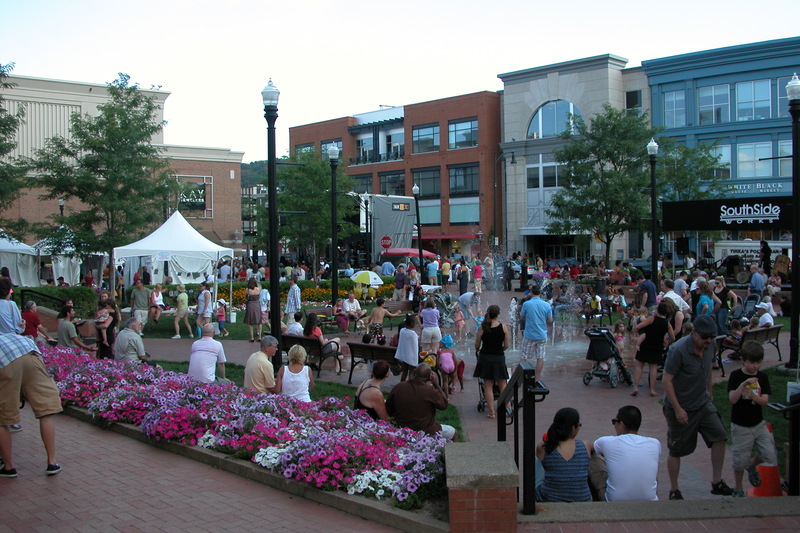 There is a massive sports medicine complex with Steelers slipping in and out surrepticiously, American Eagle worldwide headquarters, wide walkeable streets full of chic boutiques and glossy chain restaurants. At night the streets are packed with men in striped pink shirts and women with stick straight blowouts and high heels. 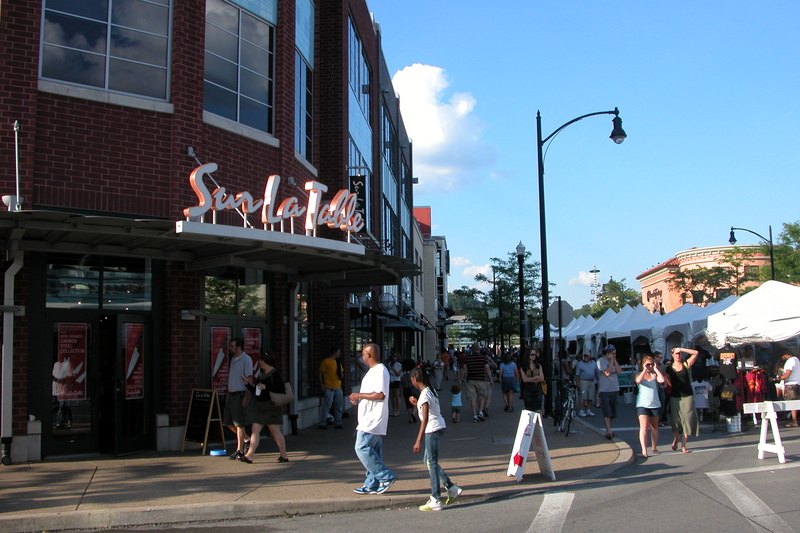 If you are dating and in Pittsburgh (and not too intensely hipstery) it is highly likely that you will find yourself at the South Side Works. Perhaps you would like to see a movie? Or just contemplate the transition of shining steel in the life of Pittsburgh. 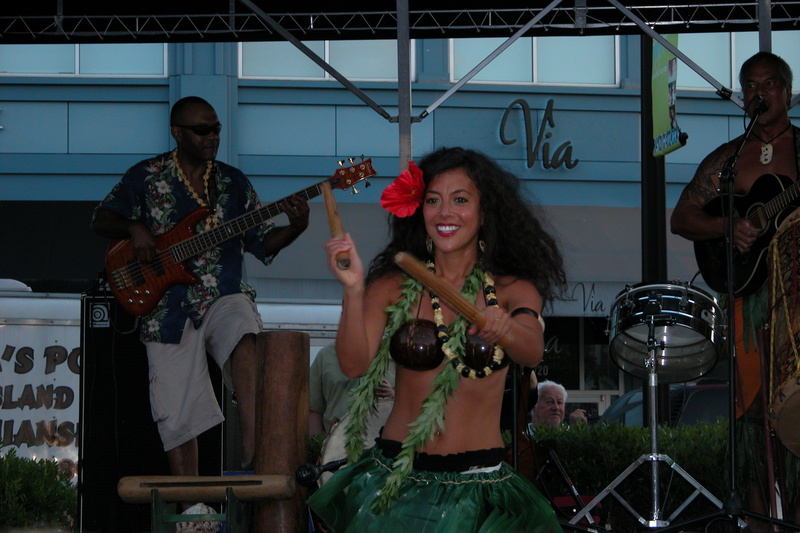 We were there to see the Polynesians, but it was a blazingly hot day for a festival, and first we needed to cool off. 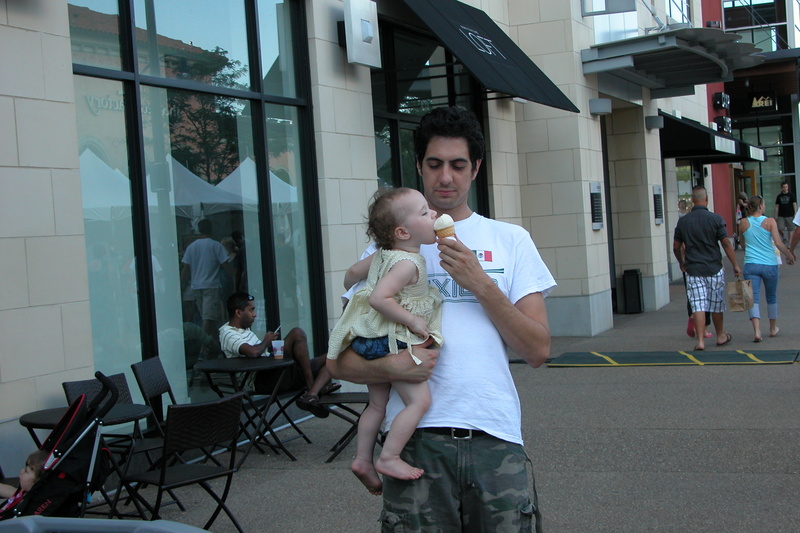 What new urban development is complete without a gelato shop? 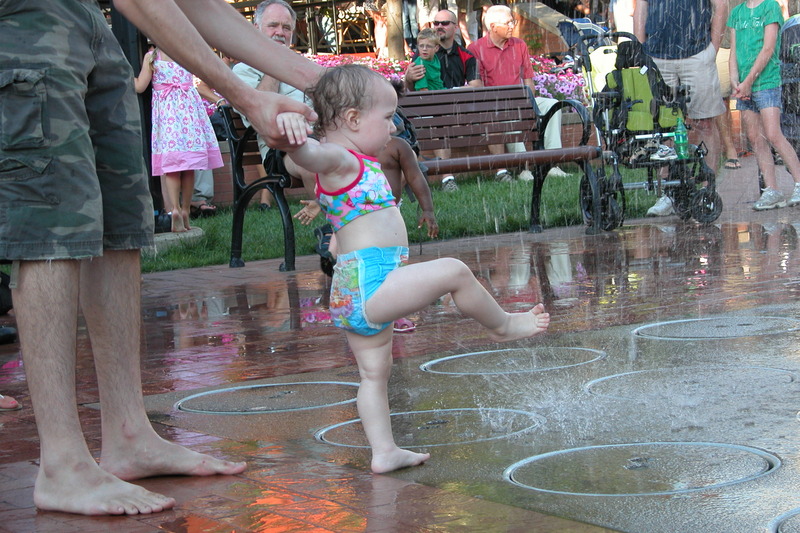 After the Italian ice cream, we headed for the spray park fountain in the middle of the square. But quickly transitioned into a state of wild glee. We dried the baby off in the last fierce rays of the sun, and as the light began to fade the Polynesian Show began. There were huge drums. There were grass skirts of exorbitant size, feather headdress, and coconut shell costumes. The dancers were lovely, and had many and fascinating costume changes. I loved the huge bright flowers in the costuming. 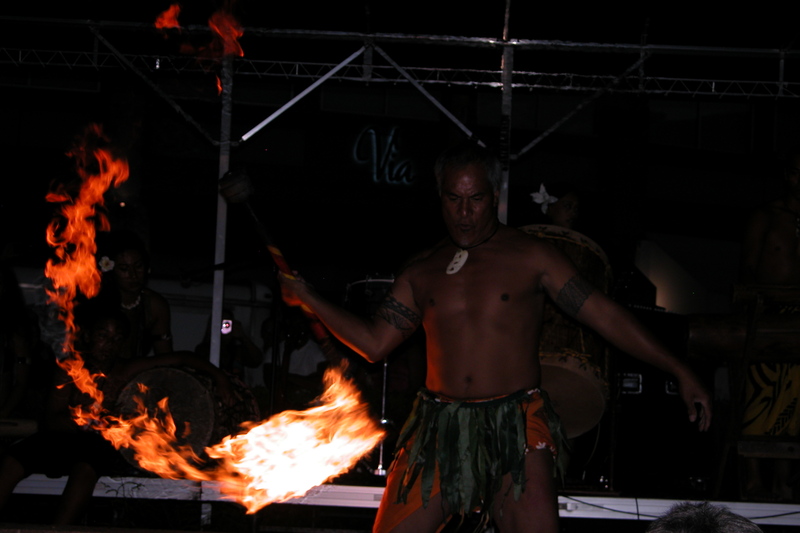 The finale of the show was the Samoan fire knife dancing. Tuika is a great showman. He says he is semi-retired, now that he is in his 50’s. I say it looks like firedancing up until your 50’s has a pretty beneficial effect. I plan on heavily encouraging Casey to start working with his fireknife again. Then I will learn to play the drums and we will train our children and put a show on the road. Between bellydance and firedancing and musical instruments and maybe some acrobatics here and there I figure we have quite a potential future as a travelling show. 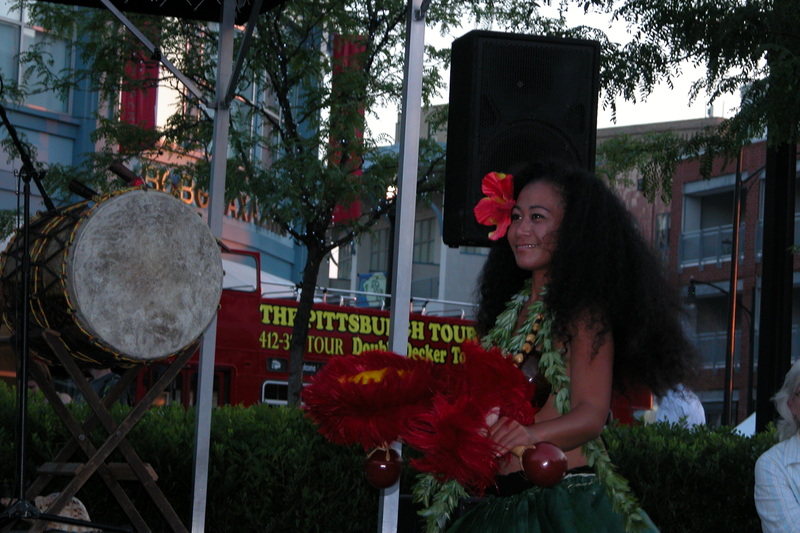 This entry was posted in Kate and tagged dancing, Family, fire performance, Pittsburgh, Polynesian on July 18, 2011 by sweetridgesisters. Very neat! I bet the belly dancing costumes would be so pretty. Great photos! 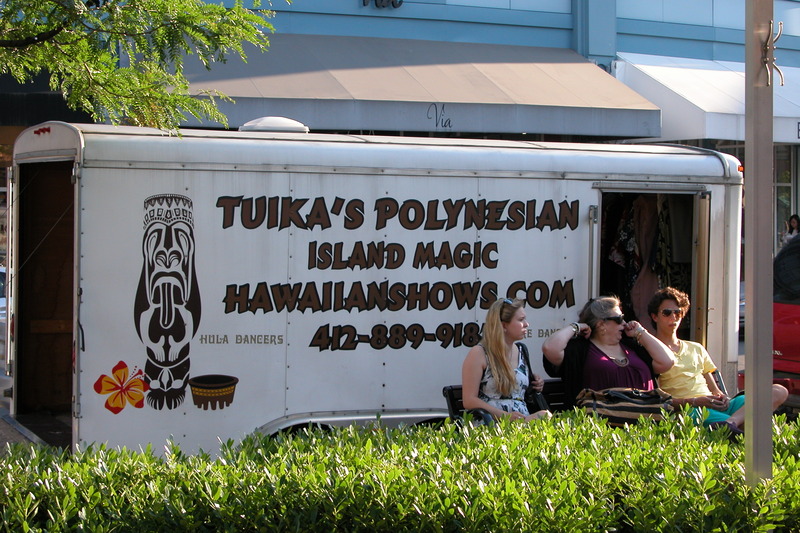 You obviously had a better angle at the Polynesian show. I decided to run to Caribou right before it started. Wow–the picture is kind of dark, but that guy looks WAY younger than 50. Very cool. 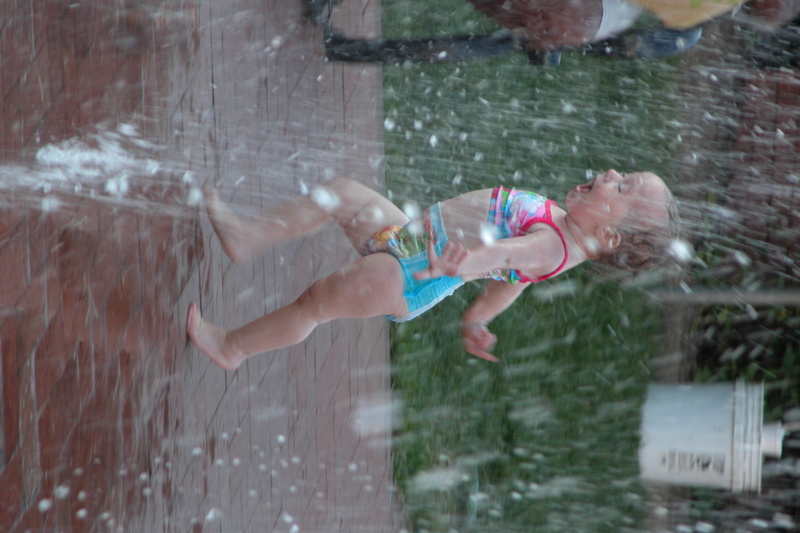 And the picture of Olympia going wild with glee–what a beautiful and exuberant expression! yes have a show! and these photos are fabulous. i always enjoy your photography.